Full knee-deep lies the winter snow, the stillness only broken by branches that hold bursts of red, juicy winter berries. This detailed Art Nouveau-esque festoon features scrolls and spires framed by two holly sprigs. 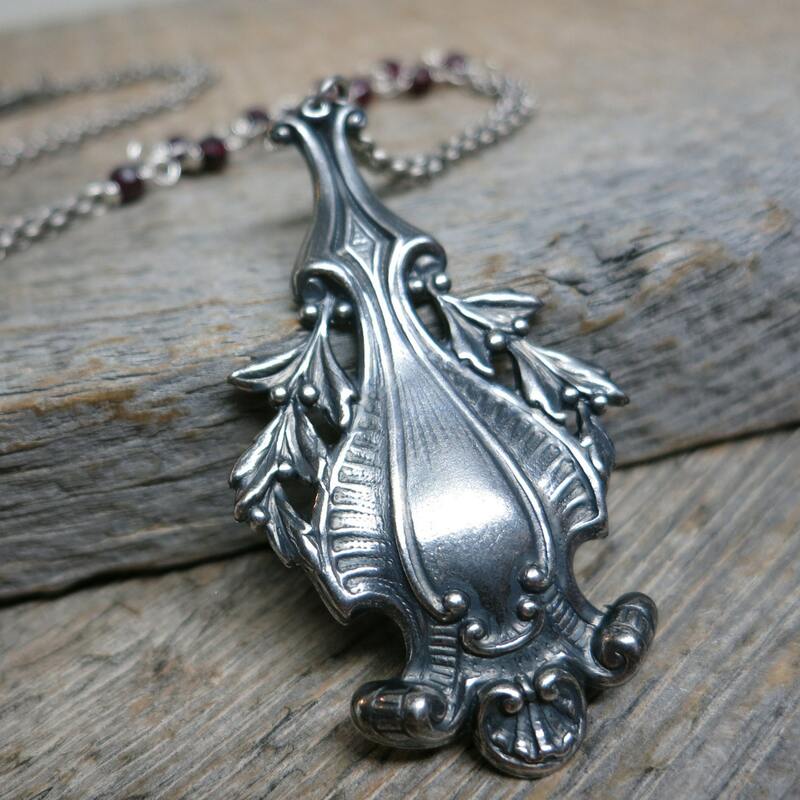 The antiqued silver rolo chain holds cascades of faceted pyrope garnet. The pendant has an antiqued patina. Chain length is 18" plus extender. 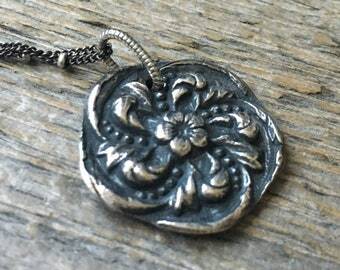 Pendant is 2" long and 1" wide. © Elements & Artifacts 2015.